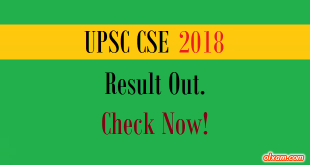 “How to check PSUs result recruiting through GATE 2018 ? What are the name of PSUs declared result of selection through GATE 2018 ? What are the cut-offs of PSUs through GATE 2018 ? The candidates who will be successful in GATE 2018 exam will be able to get the job in PSUs (Public Sector Undertakings). The few renowned name of PSUs include HPCL, BPCL, IOCL, NHPC, NTPC, PGCIL, BHEL, RITES, BSNL, HAL, ONGC, IOCL and various other. To be eligible for getting job in PSU, one should have valid GATE Score as described in the official notification of PSUs. A good GATE score is your ticket to get PSU jobs in many Navratna & Miniratna companies. Here in the table below we will provide result of various Public sector undertaking (PSUs) which are going to use GATE 2018 score. You may check all the information for the year 2018 using the table given below. 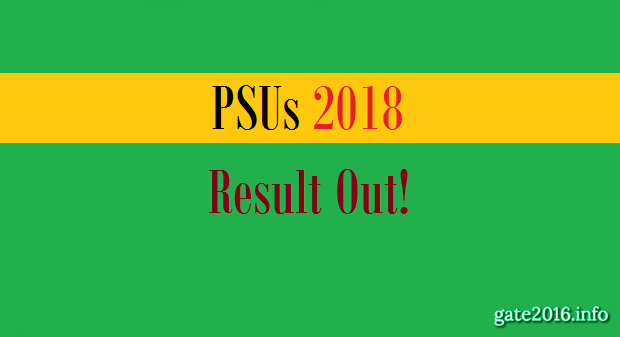 PSUs 2019 Application – Click Here! # Note : Here we will update all the information related result of PSUs which are recruiting through GATE 2018. Candidates are advised to check PSUs official website regularly so that they can get all the result related updates timely.